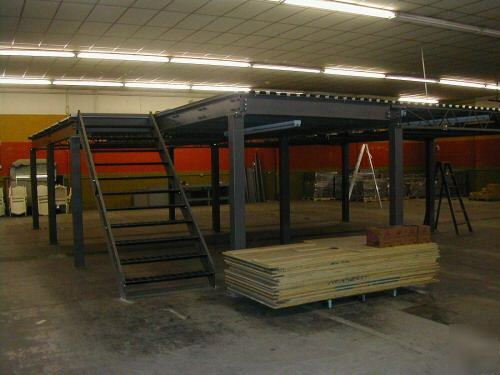 Mezzanine – Freestanding industrial mezzanine 33 x 27-3 (891 SF) Create more floor space with this heavy duty combination structural steel and barjoist mezzanine. 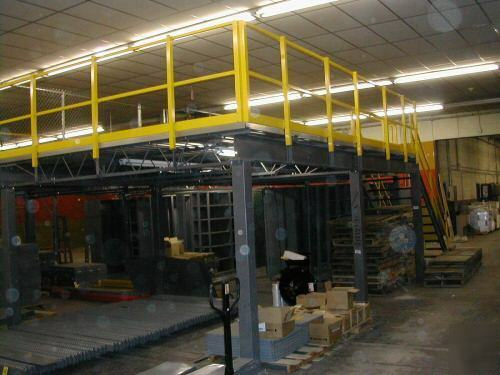 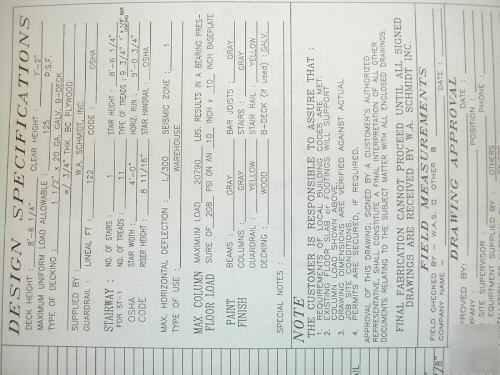 Specifications: • Clear height to underside of framing is 7’-2 • Top of deck height is 8’-6 ¼ • Maximum load of 125 PSF • Flooring – ¾ plywood overlaid on 1-1/2 x 20 ga. Galvanized B-deck • 4’ wide stairs and two-rail handrail with kickplate meet OSHA codes • One 6’ sliding gate • Manufactured by W.A. 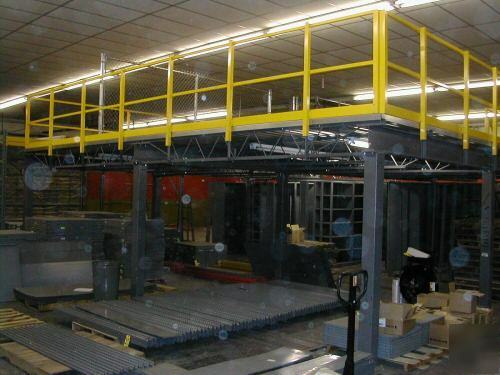 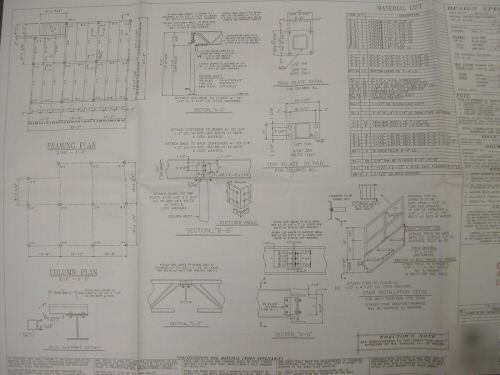 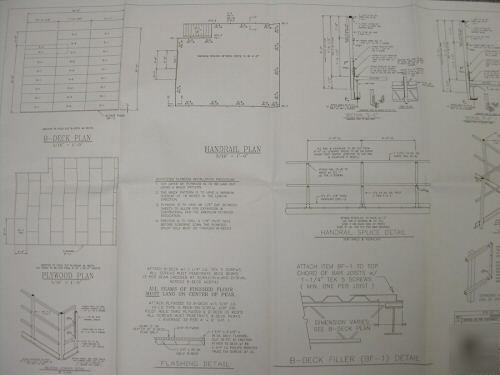 Schmidt Inc. in September of 1998 • All components and hardware are in very good condition • Complete drawings that clearly identify all componets • Erector set style assembly requires no welding.